Hands down, no question, the highlight of my race weekend was volunteering at the Spartan Kids Race. 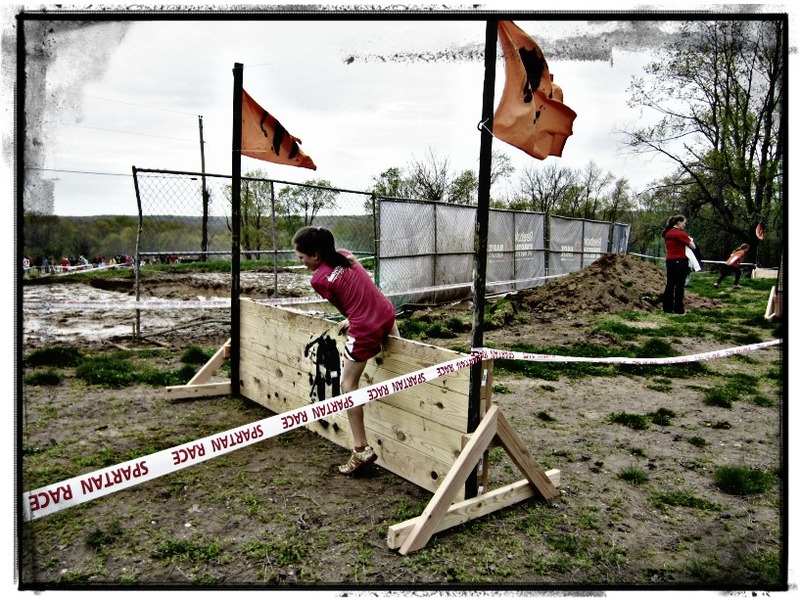 Spartan Race designs a separate obstacle course consisting of obstacles like small walls, cargo nets, and mud holes. The older kids complete a 1-mile course, while the smaller ones do a half mile. Let me feebly attempt to provide an apt description of the event from my eyes. My first experience was handing out medals to the kids as they finished. Brakken Kraker and Amelia Boone (winners of the Sprint) were at the finish line and I hung back a little further to catch the kids that ran past them. This gave me a great view of the different range of emotions as the kids crossed the line. Some of them were all smiles. Some were utterly exhausted. One kid puked. A few of the youngest kids were crying, temporarily traumatized. Some appeared to be in shock because of what they had just accomplished. The most peculiar thing I noticed is that as most of the boys finished, they would glance at Brakken and me waiting with medals in hand, but then they turned toward Amelia to receive their medals. I don’t know what that was all about it! 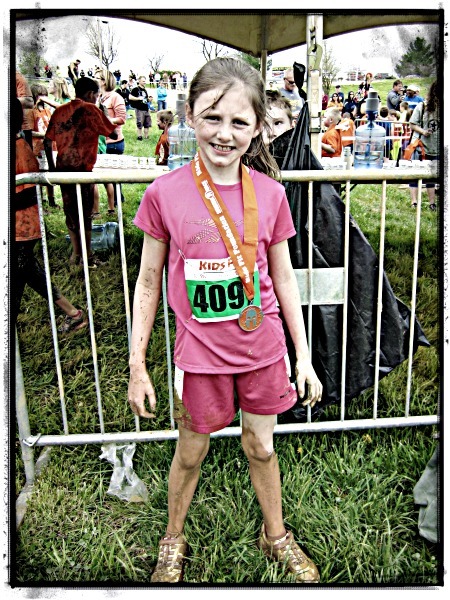 My 8-year old daughter raced in the second wave. Despite my injuries, I got caught up in the excitement and decided to “rabbit” this race — meaning starting out in front of the kids and leading them around the course. The emcee got the kids all revved up. The energy in the little corral was palpable. When the race started, they shot out like little bullets. It took effort from Brakken, Amelia, Joe Kauder, and myself to stay in front of them. Just like their mommies, daddies, older brothers and sisters, these kids gave it their all. I ran side by side with a couple of the leaders for awhile….both of them from Kentucky by the way, and then dropped back a little to run with my daughter. It gives me chills just thinking about how proud I was and how heartwarming it was to experience this with her. After a couple of minutes of encouraging her, I cut the course to get back to the finish line to hand out medals again. It’s hard to describe the joy of putting a finisher medal on a little child who has completed a hard task and is so happy about it. You would have thought I was giving them an Olympic gold medal! I tried my best to make that moment memorable for them by congratulating them and exuberantly praising their accomplishment. The looks on the mothers’ and fathers’ faces as they gathered to take finishing pictures was priceless. 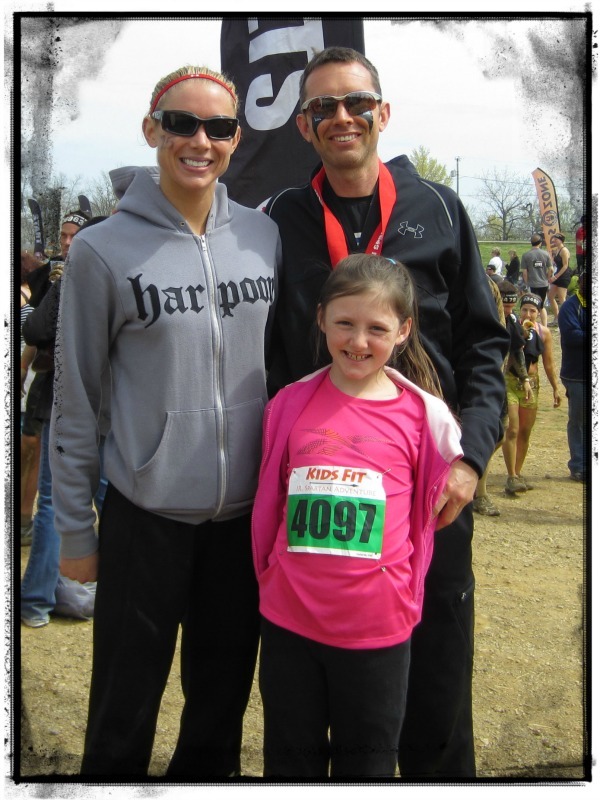 When my daughter crossed the finish line shortly after the leaders, I could hardly contain my pride as I slipped the symbol of achievement around her neck. I know it was just a 1-mile race, but it is not a walk in the park, especially for the youngest ones. Both Brakken and I were sweating after leading them through the course and we didn’t even complete the obstacles! The final topping-off moment came when I watched a young blind, cancer-surviving boy, Matthias Vescelus, pop over the crest and cross the finish line with his family beside him. It was a courageous display of resilience and this young man was a true Spartan. I was extremely proud to be the one to give him his medal and then step aside as several of the Cornfed Spartans team members cheered his finish. Please, please, please, bring your kids to a Spartan Race and give them a story to tell. My daughter is still bubbly over finishing her 3rd one and eagerly describes the course to anyone who inquires. More photos and information about the race to follow at the OnMyWayToSparta Facebook page. My kids did the Jr Spartan last year and will do it again this year. They really enjoyed it. However, I have to say that I wish parents would stay out of the kids course. My kids were doing just fine as were all of the other kids, yet parents kept jumping in and helping their kids out and getting in the way of other kids. I saw no kids who would not have made it over a mud bank after a couple of tries, but there were the parents, blocking other kids who were trying to get a good time in the race. I imagine the kids who received help would have been even prouder of their accomplishment if their parents would have let them finish the challenge with no more than cheers from the sideline. Thank you so much for your review! I have a son who is turning 12. He completed the kids run at the Merrile mud run a few years, but he’s pretty tall and the obstacles were really for smaller kids. He could practically step over the walls. 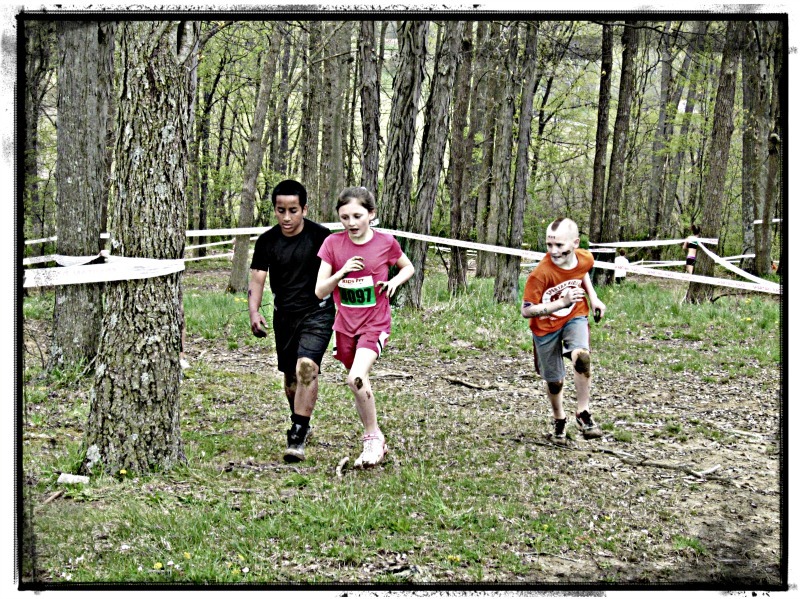 I’m wondering if you think the obstacles at Spartans older kids runs are any more fun/challenging. Any input would be great. Thank you! Wendy, thanks for reading! The Spartan obstacles are probably a little harder than Merril, but they are not overly difficult. In terms of a challenge, they are probably most challenging for the 7 or 8 year olds doing it by themselves. The biggest challenge for the 12 year olds is that the race is a mile.